CAIRO - An Egyptian court has adjourned the trial of 16 Americans and 27 other employees of nonprofit groups until April 26. Judge Mahmoud Mohammed Shoukry presided over a chaotic opening session of the trial Sunday before adjourning the case until the end of April. The NGO workers have been charged with operating without a license and using illegal foreign funds to foment unrest. 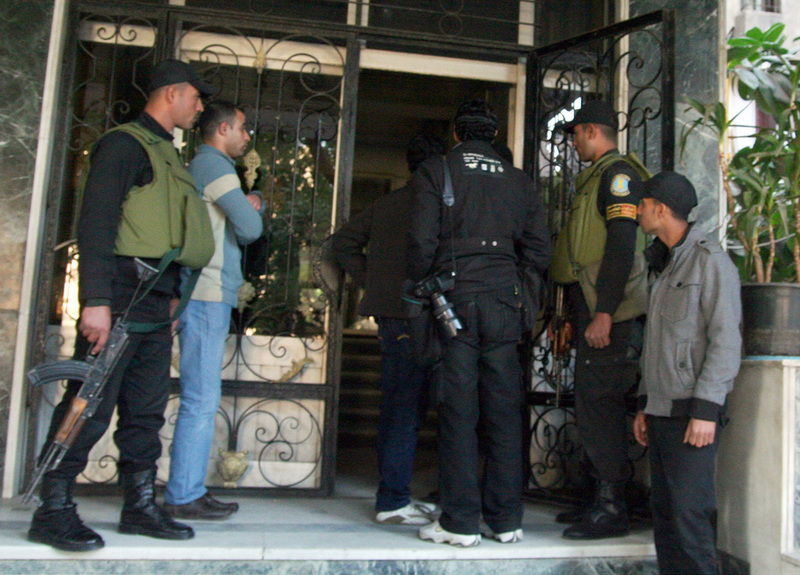 Thirteen Egyptian defendants were in court for the opening hearing. They were held in a metal cage, as is customary in Egyptian trials. Of the 16 Americans charged in the case, seven have been banned from leaving Egypt. They were not in court Sunday. The case has severely strained U.S.-Egyptian relations. American officials have threatened to cut off $1.5 billion in aid if the dispute is not resolved.